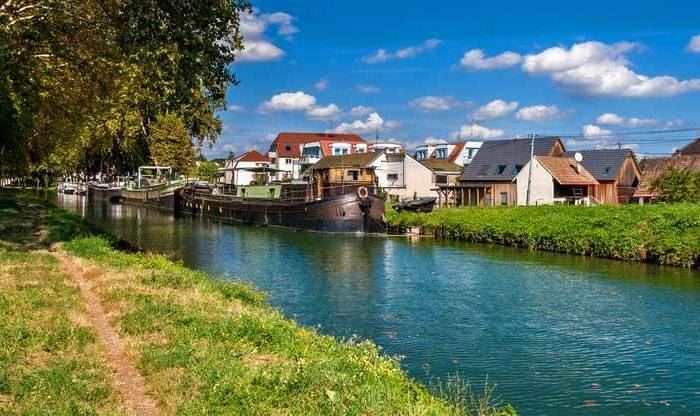 Vieille Ville is the Old Town. 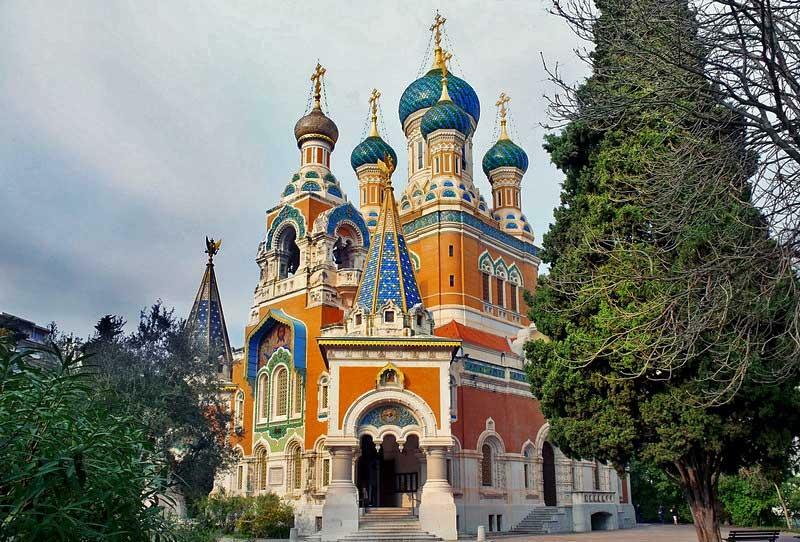 The St Nicholas Russian Cathedral and Notre-Dame de Nice are a short walk from the train station. 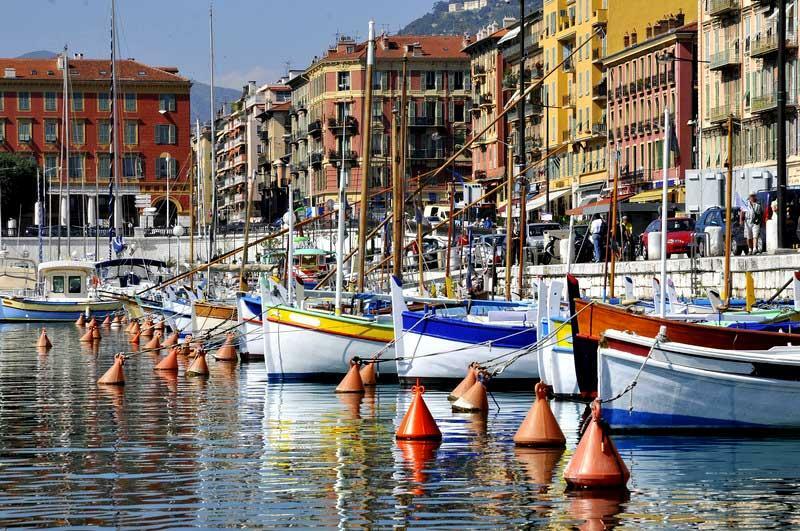 You can then walk toward the water to Visit Nice – Old Town. Stroll the Rue de France Pedestrian Zone and choose from a variety of restaurants. Many of them have tables in the street. Stop at Place Massena and then wander through the Cours Saleya Flower Market. 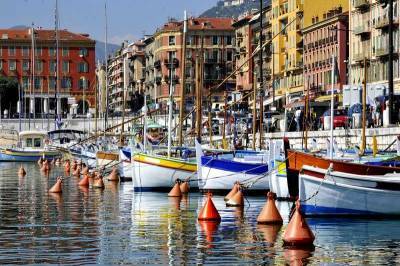 At the waterfront, stroll along the Promenade des Anglais. 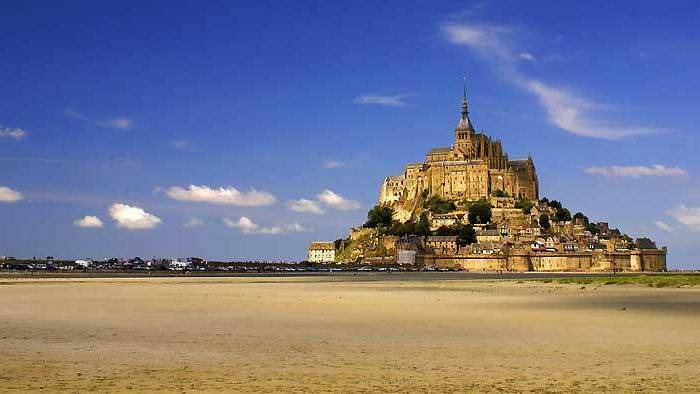 It follows the beach of the Cote d’Azur. 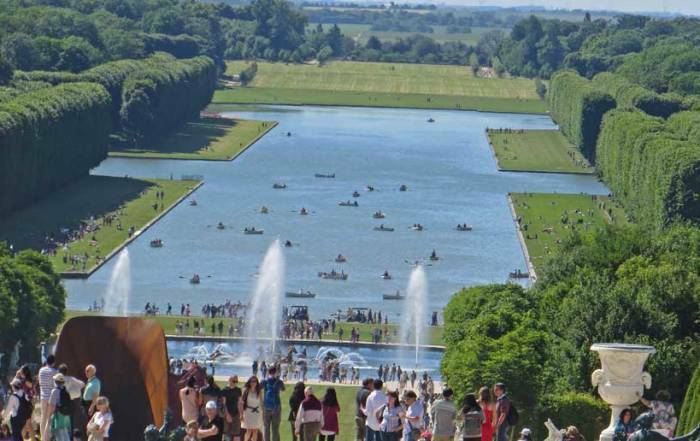 See Palais Lascaris Musical Instrument Museum and spend time in the extensive Parc de Chateau (Castle Park). This park has views of the city, the beach and Port Lympia. 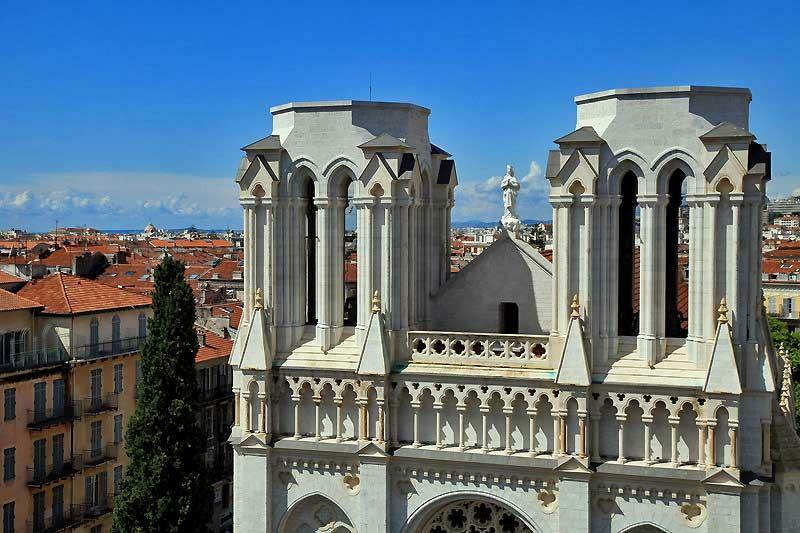 At the northern edge of the Old Town is Place Garibaldi and the National Theater of Nice. 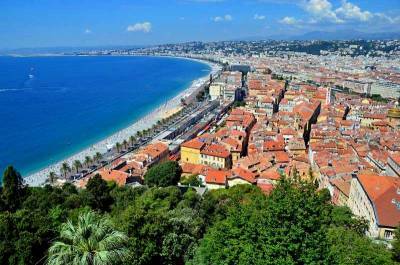 Nice (prounouced “neese”) is on the Cote d’Azur section of the Mediterranean in southeastern France. About 1 million people live in its urban area. Nice is known for being friendly and clean, with an extensive beachfront promenade. 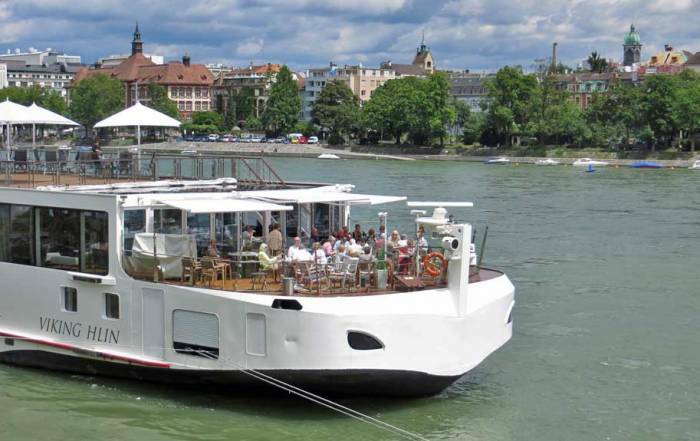 It’s has been a popular summer destination for Europeans over the years. 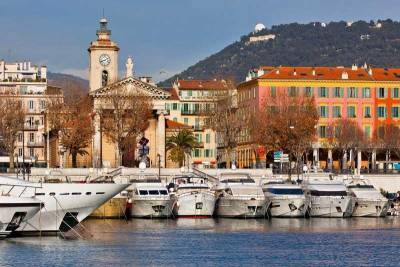 The city’s proximity to Monaco makes it an attractive place for accommodation, because hotel rates are extremely high in Monaco. 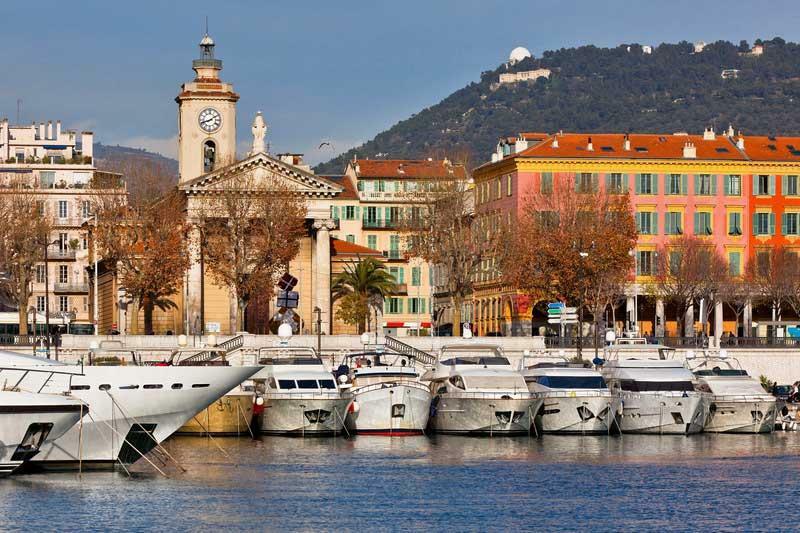 Take a day trip to Monaco, Cannes or St Tropez. 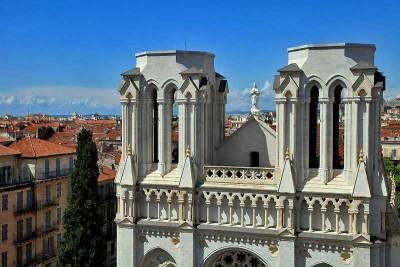 Summer weather extends from June to September when you visit Nice. Average highs in July and August are 80 F (27 C) and lows are about 70 F (20 C). Winter extends from December to February with average highs of 55 F (14 C) and lows of 43 F (6 C). Rainfall is heaviest from October through December. 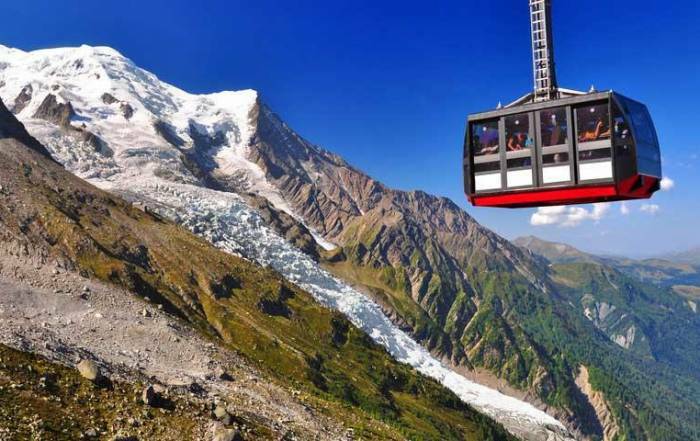 The two most popular months for tourism are July and August, because they are the driest and warmest weather months of the year. 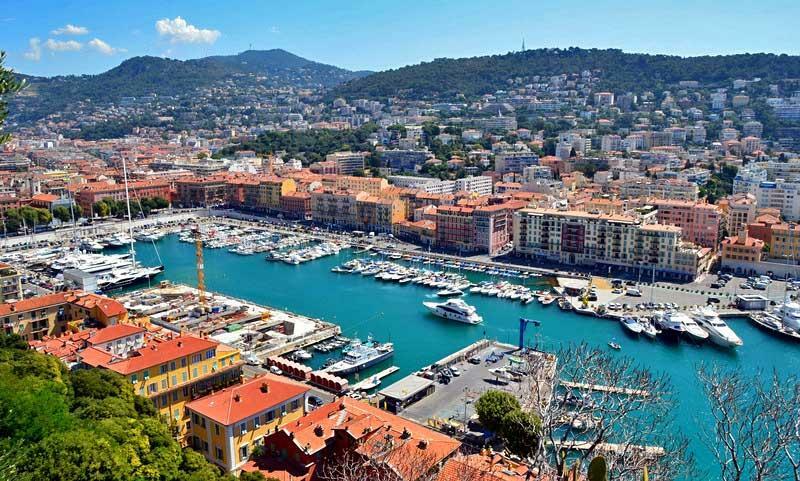 Nice Côte d’Azur Airport (NCE) is on the waterfront to the west of the downtown Promenade des Anglais. The Nice Airport is one of the busiest airports in France. A steady stream of aircraft can be seen from the beach. From the airport you can take a 15 minute cab ride to hotels near the Old Town. An express bus goes from the airport to the bus depot or to the Nice Ville train station (Gare Nice Ville SNCF). 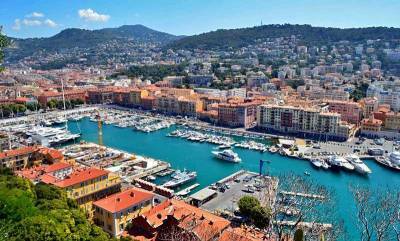 From the Nice train station there is regular service to Monaco or Cannes. Plus you can take a high speed TGV train to Paris.